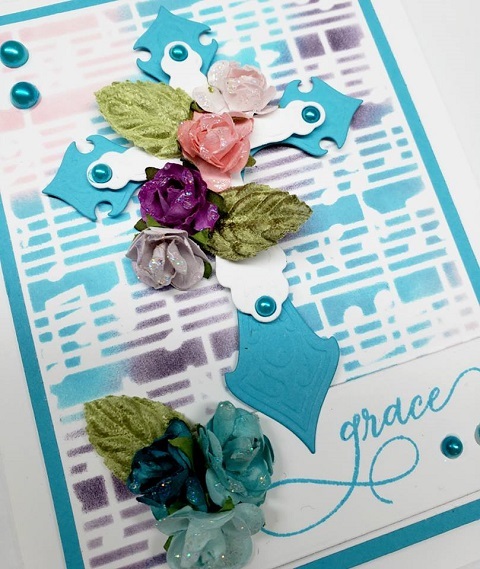 This card is all decked out in Easter finest and couldn’t be more beautiful! The colors are absolutely stunning and all the elements pulled together with perfection. The beautifully scripted ‘grace’ says it all! 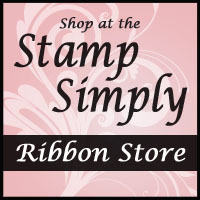 The background was created with a variety of ink colors and a stencil. This is a card you’d want to present in a Clear Box for maximum impact and protection. Holly pulled together a variety of flowers and leaves, added some glitter, and colored her white pearls with a Copic marker to get the perfect match. We often hear the phrase ‘less is more’. And so often that is true. However, Holly pulled off ‘more is even better’ with this card and I’m sure loving it! 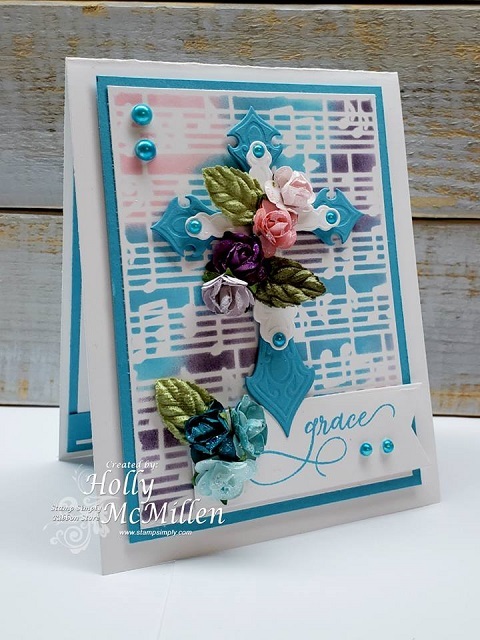 Holly completes the inside with a verse from scripture that beautifully compliments the ‘grace’ on the card front. 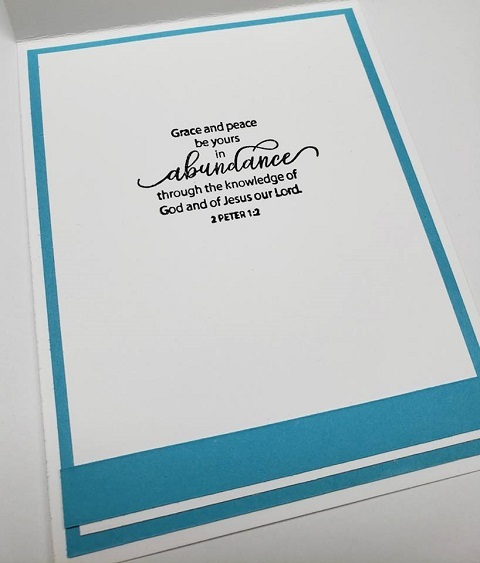 I love this verse – grace and peace – the ability to have them in abundance, no matter what. This verse has been very meaningful to me personally in the past year. So happy to see it on this lovely card! 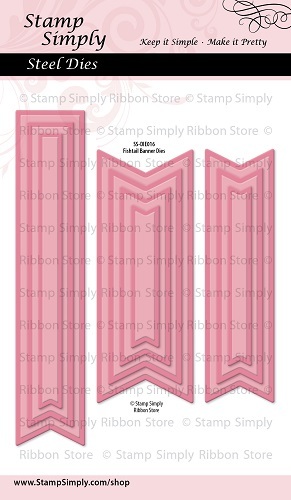 Stencil: Tim Holtz Layering Stencil – Concerto – ON SALE! 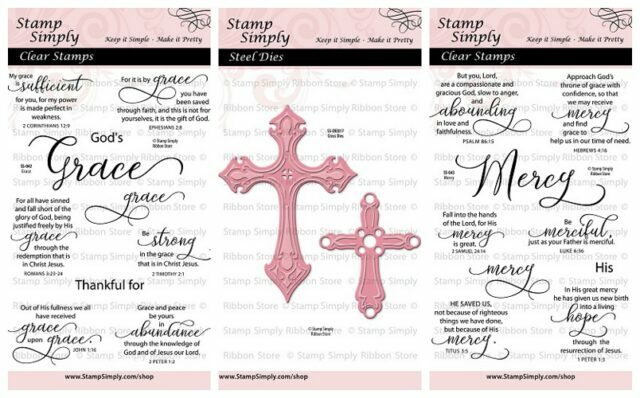 Tim Holtz Distress Inks – variety of colors (pinks, purples, turquoise) – ON SALE!